When I actually document a brew day in the future when I brew a batch, I’m going to try and post pictures of the brew day, talk about how the day went, and I’ll update the post later with a pic of the finished beer. Basically, these brew logs will be much more detailed with more current brews. I brewed this batch in may, so I just remember a bit of the session. It was the last one in my brother Kevin’s house, so it was a bit bittersweet. It was always a fun day there when we’d drink and brew, but I relocated to a house of my own, so I finally had room to put all my brewing equipment and supplies. The day went really smooth, but I ended up with a higher OG than anticipated. I’m still dialing in my system, and with a lighter batch I seem to get near 80% efficiency. What was supposed to be a 5% abv beer turned into a 5.5%. Oh well. Appearance: Pours a nice gold color with decent white head. The beer was decently clear, but had a bit of haze that I’d like to get rid of in future batches, and I’m sure that come from using some white wheat I had on hand in place of carapils. Aroma: Tropical fruits from the hop combo. Smelled like fresh fruits. No malt aroma. Taste: Again, tropical fruit. There was just a hint of malt sweetness, but this bad boy was almost all hops. Almost like a session IPA, but not quite that level of bitterness. Speaking of bitterness, it was pretty smooth since most of the IBUs came from late hop additions. Mouthfeel: It was a bit thin and dry, but that was kinda the point. This is an easy drinking summer beer, and it turned out as such. 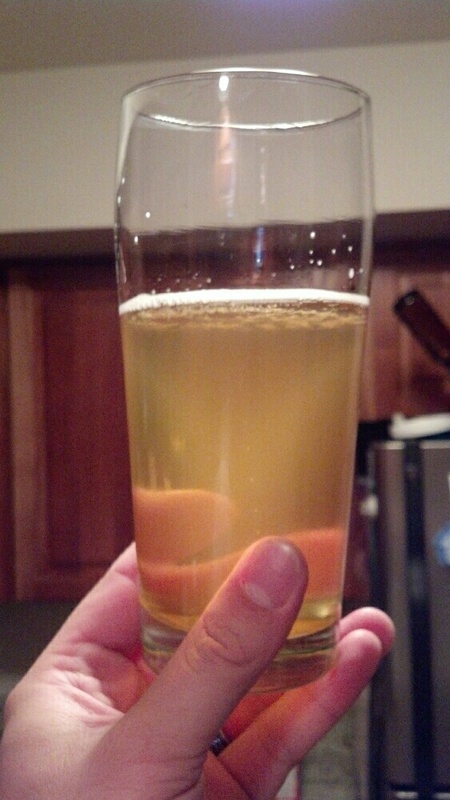 Overall: Really liked this one, and I’ll definitely brew it again. It says carapils in the recipe, but I used White Wheat because its what I had on hand. I regret that choice as it probably contributed to the haze. So really the addition of carapils is the only change I’d make, that and trying to get the OG down a bit. 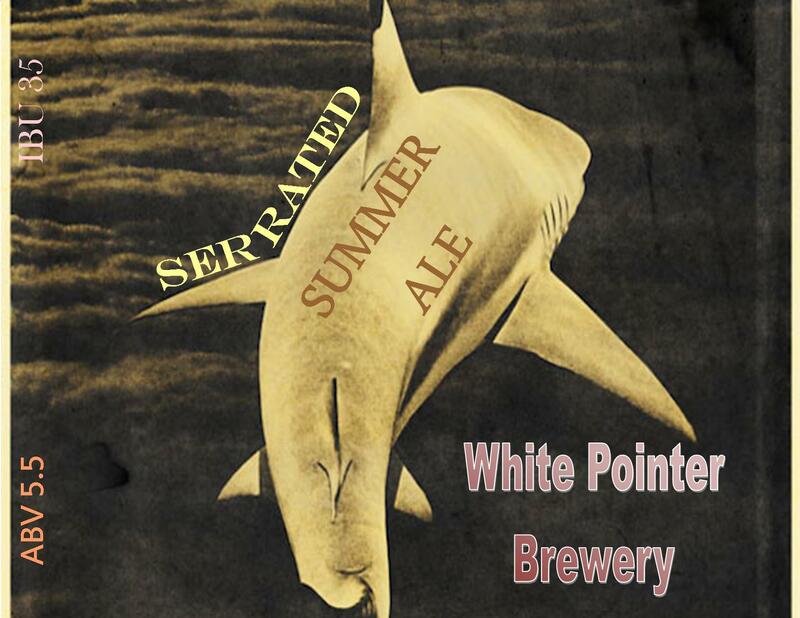 This entry was posted in Recipes and tagged APA, Hoppy, Pale Ale by White Pointer Brewery. Bookmark the permalink.